Lanta Island is the world Class well-known nowadays; especial in the field of tourists who love the peaceful atmosphere location always needs a few days far away from the crowd. Lanta Island is the best answers for them, because of there are many beautiful quiet beaches around the Island. Great News for you if you are planning to have a long holiday in Phuket, Jc.Tour (Phuket) has made the short Package "3 Days 2 Nights on Lanta" which you can book pass this website by now. You will get the room on the hotel which is on the best location "On the beach of Koh Kwang Beach. 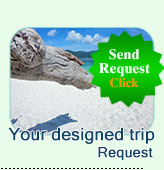 You will get a comfortable transfer from Phuket to Lanta and back to Phuket (Mini Bus and Boat), you will get. You will get a Nice day trip to "Snorkeling on two small Islands near Lanta, Rok Nai and Rock Nok Islands". 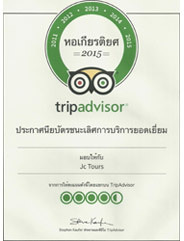 You will get the best service (you will never miss hope) from the excellent expert staff from Jc.Tour. We take you around the Lanta Island by "Safari Tour + Elephant Trekking + Elephant Show"
08.00 - 08.30 AM	 Pick up from your hotel. 08.45 AM	 Departure from the pier. 09.30 - 10.30 AM	 First Snorkeling sport at the front side of Koh Rok Island National Park. Admiring the beauty of colorful coral reef. 10.30 - 11.30 AM	 Move further to second spot in between Koh Rok Nai and Koh Rok Nok Island. 12.00 - 14.00 PM	 Enjoy a great lunch and trek up to the view point at the back side of Koh Rok Nok Island. 14.10 - 15.00 PM	 Move to the last spot behind Koh Rok Nai Island. 15.10 - 16.20 PM	 Back to your hotel. 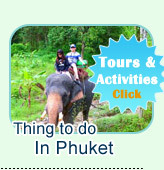 08.00 AM Pick Up for Around the Island "Safari Tour"
Watch and participate in the feeding of elephants. Learning rubber making process at the plantation.